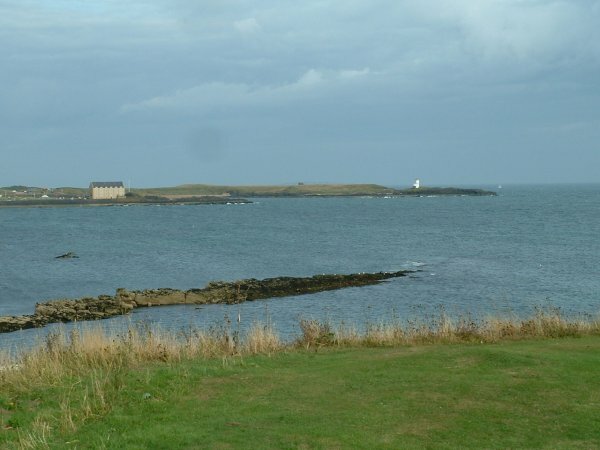 To get to Elie Lighthouse,head for an area of the village known as Ruby Bay.This is a well signposted picnic area of the town and has parking and toilet facilities.Last summer,04,they charged £1 for all day parking,but this summer they haven't bothered with a charge. When you are parked at Ruby Bay,you will see the lighthouse with no problems.Just head out the footpath,go right past the lighthouse,and follow on to the rock edges.Although a rock mark,it is very safe as it's nice and dry and reasonably flat. Lightouse viewed from Ruby Bay car park. This mark produces a variety of species but is probably best known in the summer for mackerel.Using a spinner and light gear,you can easily pull out 50 or more an evening at the right time. Best times are may/june to aug/sept,depending of course on when they arrive in the area.Best tides are large,evening high waters,when you can fish the dropping tide into dusk and darkness.Rising tides don't seem so productive. 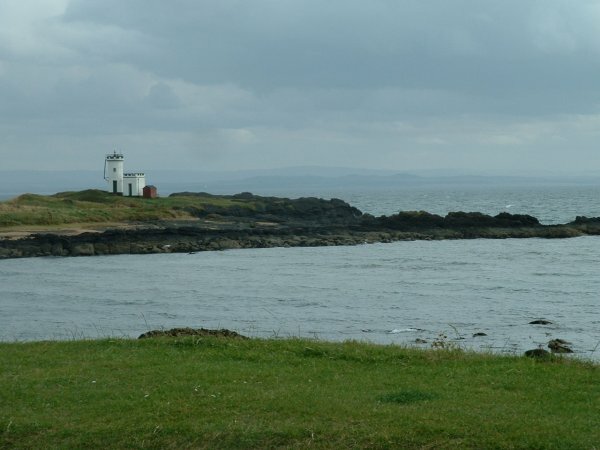 Elie Lighthouse from Earlsferry,showing proximity to granary. As well as as mackerel,you can expect flounder,coley and codling in the summer,with larger cod and pollack in the winter.The ground is 80% clear with kelp edges and patches giving a good area to fish without losing much tackle.